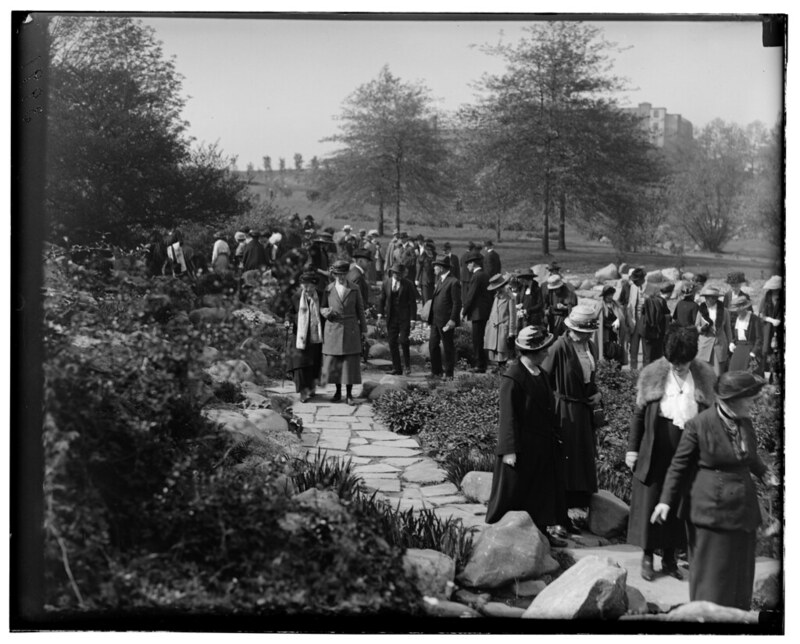 Opened in 1917, the Rock Garden was one of the first rock gardens in an American public garden. 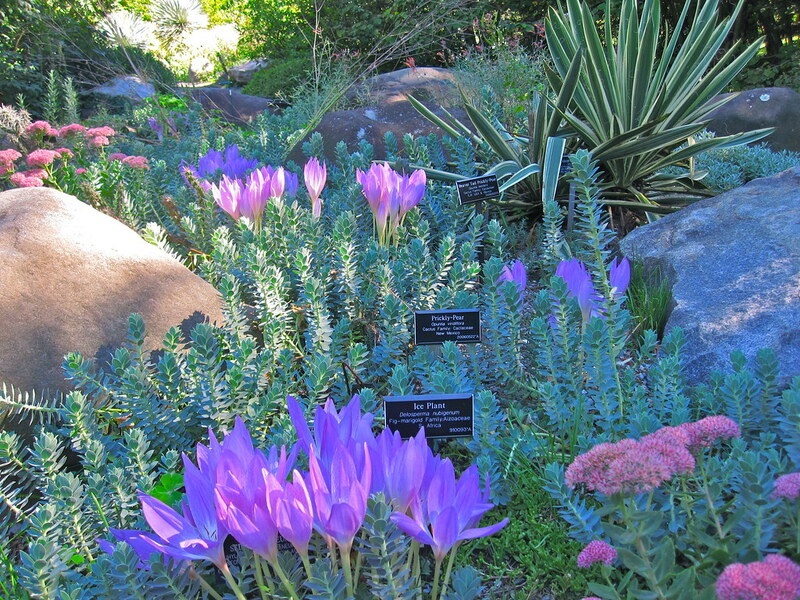 Nestled into the hillside along the western border of BBG just north of the Herb Garden, the Rock Garden features a number of alpine and montane microclimates, home to succulents, heaths, species tulips, and other plants that thrive in rocky, fast-draining soils. 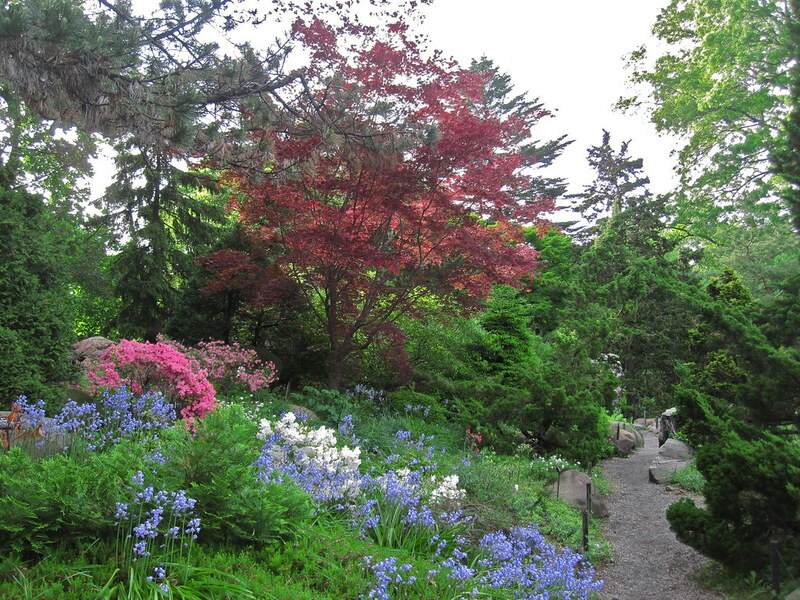 The microclimates were created by the careful placement of large boulders, many of them left behind by melting glaciers at the end of the last Ice Age and unearthed during Brooklyn Botanic Garden's construction. Colorful tulips and daffodils are among the first flowers to emerge here in spring, followed by sturdy azaleas and heaths and more delicate columbines and other wildflowers. Poppies and anemones bloom in summer, and in autumn, stonecrops flower among the fall foliage. Winter-blooming witch-hazels provide lovely color in the colder months, often against a backdrop of snow-covered conifers. Mullein, stonecrop, cardinal flower and other late summer blooms. Photo by Alvina Lai. 'Tequila Fuchsia' moss rose in the Rock Garden. Photo by Blanca Begert. Pasque flower blooming in spring. Photo by Blanca Begert. Witch-hazel blooming in winter. Photo by Blanca Begert. A view of the Rock Garden in October. Photo by Blanca Begert. The Rock Garden in spring. Photo by Rebecca Bullene. The Rock Garden. Photo by Rebecca Bullene.